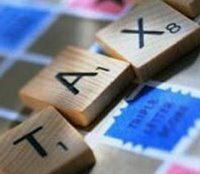 Tax experts said on Friday the government proposal to remove surcharge and cess from corporate tax to bring it down by 3 percentage points to 30 per cent will provide much needed relief to the industry and bring the levy on par with global standards. However, they wanted the corporate tax rate to be even lower at 25 per cent, as was proposed in the draft of the Direct Tax Code bill. After the Cabinet approved the Direct Taxes Code Bill, Finance Minister Pranab Mukherjee had yesterday said the corporate tax rate is sought to be retained at the present level of 30 per cent, but there will not be any surcharge or cesses on it. The current tax rate for domestic companies, including surcharge and cesses, comes to about 33.22 per cent, while foreign companies pay over 40 per cent. The bill sought to levy the same corporate tax rate on domestic and foreign companies. "The DTC Bill proposes to bring the taxability of Indian corporates at par with global standards . Indian is now going down towards a low tax country," Deloitte Tax partner Sunil Shah said. He said the government will gradually bring down the corporate tax rate to 25 per cent, as it needs some time to bridge the transition from a high tax country to a low tax one. However, Ficci Taxation Advisor S B Gupta said, "The tax burden of corporates would come down. It would have been better if it was 25 per cent." In addition, the DTC also proposed to increase the minimum alternate tax rate to 20 per cent of book profit, from the current 18 per cent. However, under the current Income Tax Act, adding up the surcharge and cess would take the current MAT to 19.93 per cent. "The government has removed the concept of gross asset tax and has rounded off the MAT rate to 20 per cent to factor in surcharge and cess," Ernst & Young Tax Partner Vishal Malhotra said. MAT is a levy imposed on profit-earning companies that do not fall under the tax net due to various exemptions. MAT is creditable in the accounts of corporates as in the year they shift from MAT to corporate tax, the MAT paid can be carried forward for seven years. In a way, it acts like advance tax. However, some experts said the increase in MAT will act as a dampener for corporates. KPMG executive director Vikas Vasal said, "While the 30 per cent corporate tax is good keeping in mind that the government has to maintain its revenue collection, the MAT rate at 20 per cent is a kind of dampener, as the difference between the corporate tax and MAT is now getting narrower." In the original draft of the DTC, the government had proposed to levy MAT on gross assets, which had evoked much criticism from companies. As such, the second draft of DTC switched back to levying MAT on book profits.